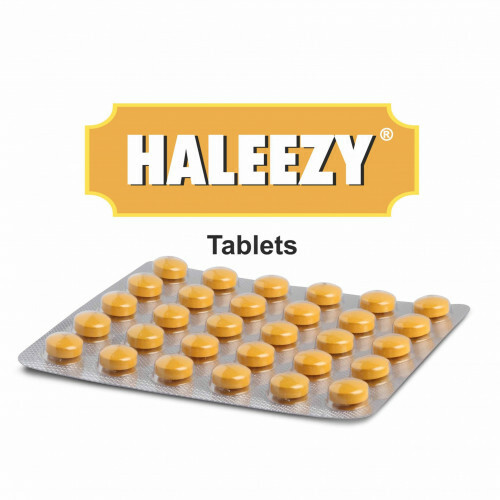 HALEEZY is an antiasthmatic with bronchdilatory, anti-histaminic and anti-inflammatory properties. 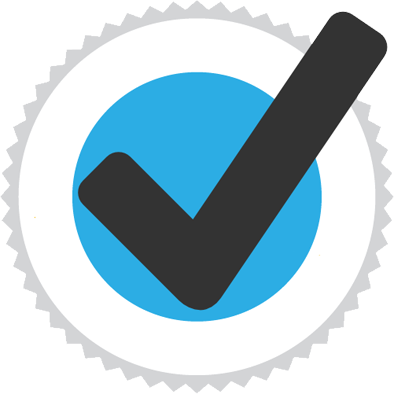 Adhatoda vasica, the main herb in HALEEZY, has been standardized to 1% Vasicine. Vasicine exhibits respiratory stimulant activity. Steroidal alkaloid solasodine of Solanum xanthocarpum improves the pulmonary functions. Ocimum sanctum inhibits antigen induced histamine release from the mast cells. Trikatu improves the bioavailability of other compounds like curcumin and vasicine. 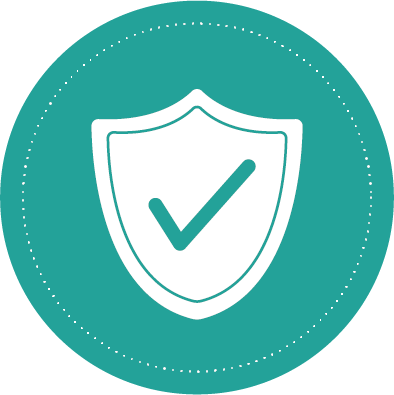 Thus, HALEEZY exerts antiinflammatory, bronchodilatory and antihistaminic action to reduce severity, frequency and duration of asthmatic attacks. Mild Asthma: 1 tablet / Syrup 5 ml twice a day. 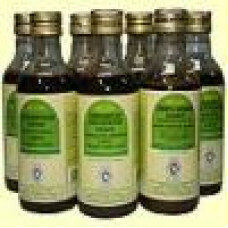 Chronic asthma & COPD as an add-on-therapy: 2 tablets / Syrup 10 ml twice a day. 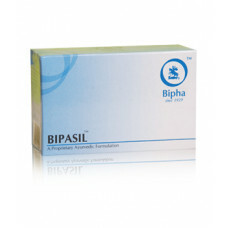 Tablets: Blister pack of 20 tablets. 1) Consumption of wheat, barley and garlic is recommended. 2) Consumption of honey is recommended. 3) Daytime sleeping is preferred for patients of bronchial asthma. 1) Avoid curd and buttermilk. 2) Avoid banana, guava and sour fruits. 3) Avoid fried and oily food recipes. 5) Avoid exposure to rain and severe cold and wind. 6) Avoid indulgence in strenuous exercises. 7) Avoid food recipes, which are heavy to digest, or which cause constipation. 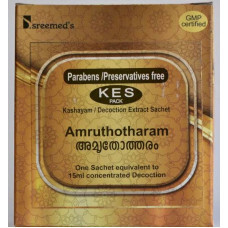 Amruthotharam Kashayam is prepared from the following herbs.Ingredients &nb..